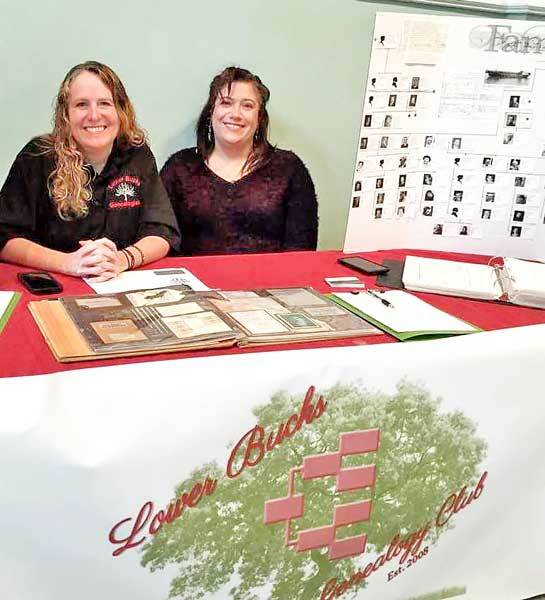 Lower Bucks Genealogists - Times Publishing Newspapers, Inc.
Lower Bucks Genealogists (LBG) was formed in 2008 by two single parents trying to keep up with their lifelong hobby. Barbara Jean May and Hope Callan-Beck would often travel to genealogy seminars and lectures together, and found it difficult to continue doing so while raising their children. They decided to form a group locally and to manage the meetings in a “social group” type setting. Genealogy is growing in popularity as a hobby in the U.S., with advertisements from Ancestry.com and DNA testing companies showing a spotlight on it. As Internet technology improves and records become more easily available online, more and more people are starting to research their family histories. This trend has not gone unnoticed to Barbara and Hope. LBG is a growing membership of individuals who share a common interest in genealogy. Whether you’re a beginner, a professional or somewhere in between, LBG can assist you in your research into the past! Lower Bucks Genealogists is dedicated to assisting others in the preservation of their family history, and to promote interest in genealogy. While located in Bucks County, their goal is to connect families worldwide. They warmly invite you to join them. Your membership in LBG will help you gain more enjoyment from your hobby. It also places you among a group of genealogists that came together to promote recording family histories and the enjoyment of finding past generations! Meetings are held the second Saturday of every month, from 1:00 to 3:00pm, at Team Toyota / Scion Service Center, Second Floor Community Conference Room, 407 East Lincoln Highway, Langhorne, PA, 19047. For more information, call Barbara at 215-630-5301 or Hope at 215-817-3529.